Beacons are getting more and more popular, and are becoming a necessity in many cases. In fact, there are so many types of beacons on the market today to choose from – one of the popular types of beacons being used more and more are the telephone-initiated beacons. This type of beacon is beneficial in many different ways. Telephone Initiated Beacons: What Are They? 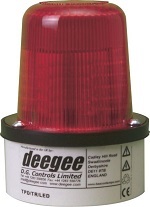 Furthermore, this type of beacon can be offered without or with fitted cables or glands for the plug-in and hard-wired setting up. 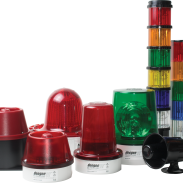 We offer a range of different telephone initiated beacons to suit most applications, such as the TPD LED and TXV, TXD, as well as TXL strobe. Nothing like other varieties of beacons, the implication of telephone initiated beacons is important most especially in terms of welfare and at the same time security. How Does A Telephone Initiated Beacon Work? Telephone initiated beacons can be found in several areas that need security and safety, or require indication. The TPD/LED pulsates with the telephone ring signal, whereas the Xenon telephone initiated beacon range is triggered repetitively with the ring signal. In addition to the range, a telephone initiated Combined Sounder & Beacon is also available, which has pulsing LEDs and emits loud, yet clear sounds. These units have become extremely popular, particularly in areas wherein a high ambient noise level persists. 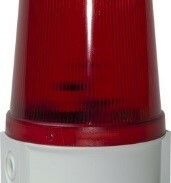 As previously mentioned, this kind of beacon plays a crucial role in safety and security. Apart from that, it is proven beneficial in various applications. The durability, as well as the quality of each component of the Telephone Initiated Beacon range, are both crucial. But nevertheless, the beacon’s durability and quality have a huge impact on its overall function and effectiveness.